StoryAlity #26 – “3 Acts”? Did Aristotle ever say that? A Question: What did Aristotle really say, about 3-Act structure? In Poetics (circa 335 BCE) or – in fact, as far as we know, anywhere? I have made close readings of various translations of Aristotle’s Poetics (Aristotle et al. 1997), (Aristotle and Butcher 2012), (Aristotle and Heath 1996) – and there is no reference to “3-Act structure” for ancient Greek plays in there, anywhere. Aristotle’s Big Idea: Stories need 2 Acts: The `tying’, and the `untying’. In fact in Poetics, Aristotle prescribed 12 acts. – Seriously. `Oedipus Tyrannos’ has 5 Episodes, Prologue, Stasimons, and a bunch of other stuff, including a whole lot of singing by the Greek Chorus. Film’s don’t do this. At all. So: Why do we even have the term “Aristotelian 3-Act structure”? On the one hand – it’s an easy way to `divide up’ a film story (and, also makes it easier for critics.) And, fair enough.Also David Bordwell found some evidence for it, in Hollywood movies. David Bordwell is actually my favourite film theorist – see his amazing work in Poetics of Cinema (2008). And also, see his 2 (amazing) chapters in Evolution, Literature and Film: A Reader (2010). But – on the other hand, there is also, no such thing as `3-Act’ film structure; it is possibly actually a myth, a misconception, a misnomer, a misinterpretation, and a made-up mystery. For more on memes – and how they really work, go here: The Structure of the Meme, the Unit of Culture – and how Cultural Evolution works. See also the online article, A hierarchy of Memes. (It’s only short, takes about 3 minutes to read, and may even possibly change your entire worldview. Seriously! i.e. It’s just systems theory. – Everything is in fact a system, and, a holon-parton. i.e. It seems, the philosopher Heraclitus was right-! See Sir Karl Popper, Conjectures and Refutations, 1963). Moreover, using so-called “Aristotelian 3-Act structure” in narrative, is, possibly, a dangerous idea. I am being totally serious now. In fact Aristotle never said anything about three acts. He said there is a beginning, middle, and end to every story, and that is the extent of your knowledge when you use the 3-act structure. So – wait – where did this myth (i.e. this misleading meme) of “three-act” structure (let alone `Aristotelian 3-Act’ structure!) come from? Now don’t get me wrong, Syd Field has done some (really) great things for the study of film screenwriting. And: If 3 `Acts’ = Beginning, Middle, End, then – everything has 3 `Acts’…? Obviously, the key issue in `linear narrative’ is: Time. Even leaving `Cause and Effect’ aside for a moment: If something in the story happens first, then another thing happens later, and even later still, something else happens, we already have: a beginning, middle, and end. All films can have three `acts’, if you want to divide them up into: a beginning: middle: end. But that is not really a useful way to divide the structure of a story/plot. Much more importantly: We all need to know, what the difference is, between the films (i.e. : film stories) that succeed – and those that fail (to find an audience). And, if you choose to use it (i.e. – free will is always good like that, see this post on Agency and Structure), you will be using the same story structure that the 20 most successful films (in terms of: virality) use. i.e. And for another thing – Aristotle, as wonderful as he was, was also writing about Greek plays around 2000 years before film was invented. If you know about Cultural Evolution, and how it works, it doesn’t take long to realize that 2000 years later, current-day films are not very much like Ancient Greek plays. Films, as an art form, have evolved. They are only about 100 years old, as a medium. We certainly don’t (usually) have a `Greek chorus’ singing the plot at us between the `Acts’, and we don’t have `stasimons’ and `parodes’ and all those forms in feature films any more. We have gone past all that. `Dramatic art has its origins in ceremonial rites – dances, songs and mime – which enacted important past or desired future events: rain, a successful hunt, an abundant harvest. The gods, demons, ancestors and animals participating in the event were impersonated with the aid of masks, costumes, tattooing and make-up. The shaman who danced the part of the rain-god was the rain-god, and yet remained the shaman at the same time. From the stag-dances of the Huichol Indians or the serpent dances of the Zuni, there is only one step to the goat-dance of the Achaeans, the precursor of Greek drama. `Tragedy’ means `goat-song’ (tragos – he goat, oide – song); it probably originated in the ceremonial rites in honour of Dyonysius, where the performers were disguised in goat-skins as satyrs, and in the related ceremonies in honour of Apollo and Demeter. Indian and Chinese stage craft have similarly religious origins. Etruscan drama derived from funeral rites; modern European drama evolved from the medieval mystery plays performed on the occasion of the main church festivals. Here is how – over time – Film (i.e. : cinema) resulted from being a hybrid of (1) theater, (2) photography (i.e. 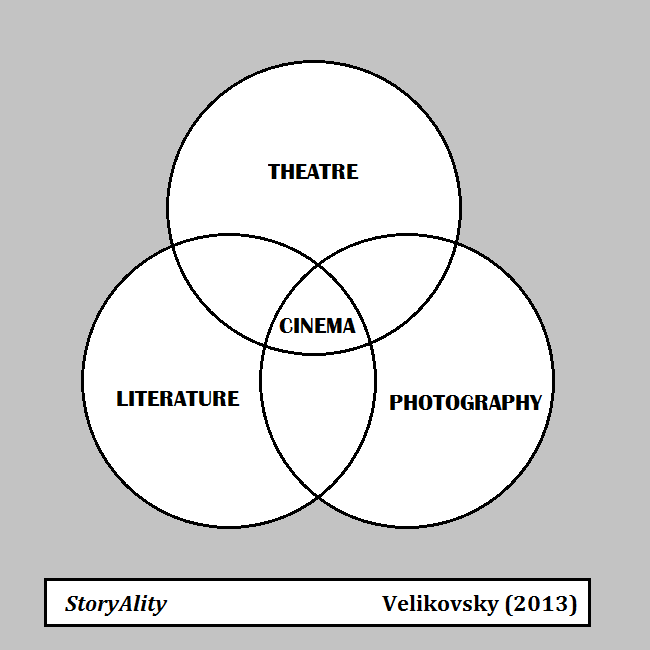 cinematography), and (3) literature. See also Brütsch, M. (2015). `The three-act structure: Myth or magical formula?‘ Journal of Screenwriting, 6(3), 301-326. 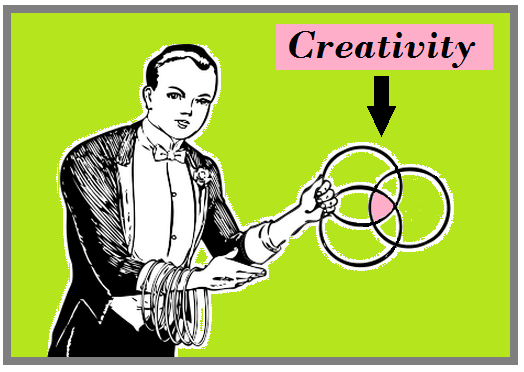 Also – What most people don’t realize is that: Creativity works the same way in the Arts and the Sciences. i.e. : Selection, Variation (e.g. combination), and Transmission-with-heredity. Of genes in Biology, and of memes (ideas, processes, products) in Culture. PS. See the PPS below. P.P.S. – There is a pretty long P.P.P.S. down below. PPPS – I see the great Werner Herzog agrees with me (that’s why he’s so great) and wails on “3-Act structure”, and also “Character Arcs” here. These are 2 x things you don’t need in your script for a movie with a high RoI. “No one would ever assume Werner Herzog would teach convention, but in his new MasterClass, the filmmaker takes dead aim at the way traditional film school teaches three act structure storytelling. “It’s really brainless to structure yourself in it,” says Herzog in an exclusive IndieWire video. Actually maybe even see the whole blog. And – actually, on another note, I also see, Charlie Kaufman says he blew it. P [x 3]. S. – * Don’t get me wrong: to be fair, Syd Field (and McKee – and all those `guru’ guys) has really actually done a lot to advance the ABC (art, business and craft) of screenwriting. But – I still do not believe “3-Act” Structure is that helpful – at all – for screenwriters, and – I certainly don’t believe, it is (or was ever) Aristotelian. – If you are reading this, and you have found any translation of Poetics (or – anything by Aristotle) where Aristotle says that ancient Greek plays should have `3 Acts’ – then, please Comment below, with the exact reference. In fact… It is actually, a scandal that the phrase “Aristotelian 3-Act structure” even exists. Seriously! By all this I mean – it is good to question assumptions. We often assume that “quotes from authority” are correct. But – when we (empirically) examine their claims, those “authorities” are sometimes, wrong. – Don’t just take my word for it, as that would be making the exact same mistake. – Look at the evidence for yourself. Read Aristotle’s Poetics. Read as many versions of it as you can find. (It’s only about 50 pages long, anyway – It’s not even like, it’s `hard work’. And he makes a few really good points.) Yet, most people just accept it when other people (in `authority’) say “In Poetics, Aristotle said `good Greek plays should have 3 Acts”. – He never said that. Seriously. – Check it for yourself-! And – speaking of possible nonsense (ie – things that are totally wrong, like say, the concept of “Aristotelian 3-Act structure”), and even `Oedipus Rex’… Most of what Freud said 100 years ago, is now regarded by most psychologists as nonsense. For one thing, it turns out that Freud’s whole idea of “the Oedipus Complex” is nonsense. i.e. : Consilience is a revolution that is still occurring in the Arts – it started around 1998, with E O Wilson’s book, Consilience. – It’s a `paradigm change’ (as per Thomas Kuhn, The Structure of Scientific Revolutions). It means, most of the old knowledge is wrong, and has to be thrown out. `Almost every serious intellectual advance has had to begin with an attack on some Aristotelian doctrine’. Don’t get me wrong. The funny thing is, I actually love Aristotle. P[x4] S: And also, many thanks to John Parry @ UWE Animation Bristol for the additional thoughts and inspiration he provided, for this (updated) post! Aristotle and Heath, Malcolm (1996), Poetics (London: Penguin). Aristotle, Baxter, John, and Atherton, Patrick (1997), Aristotle’s Poetics (London: McGill-Queen’s University Press). Field, Syd (1979), Screenplay: The Foundations of Screenwriting (A Delta book; New York: Dell Pub. Co.) 212 p.
Gottschall, J (2012), The Storytelling Animal: How Stories Make Us Human, Houghton Mifflin Harcourt, Boston. Koestler, A. (1989). The Act of Creation. London: Arkana. Truby, John (2012), ‘Why 3 Act Will Kill Your Writing’, Raindance New York http://www.raindance.org/why-3-act-will-kill-your-writing/, accessed 18th August, 2012. 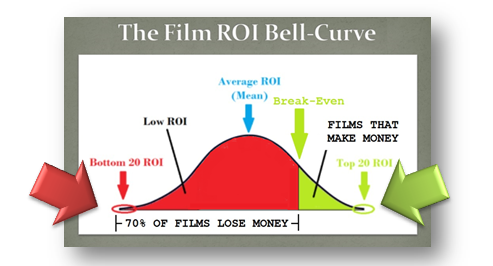 ← StoryAlity #25 – Possibly: Why 7 in 10 Movies Lo$e Money.